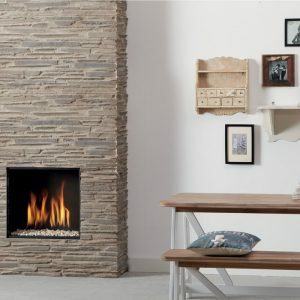 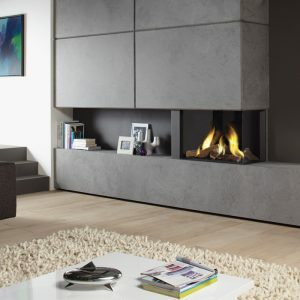 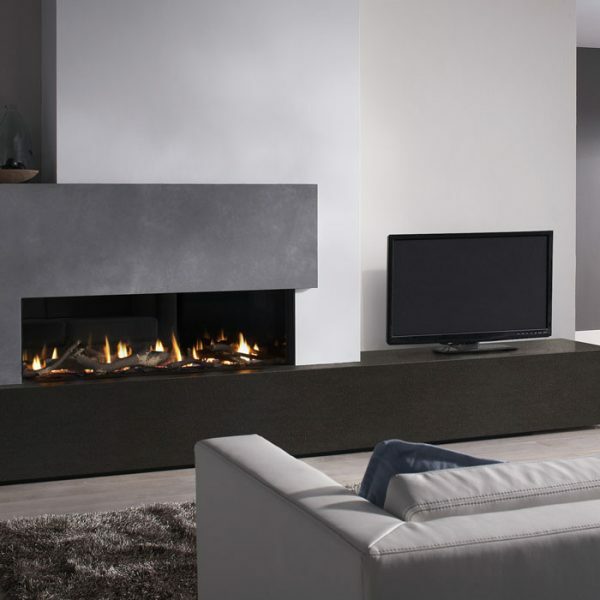 Metro 130XT is an extra tall and wide frameless gas fire. 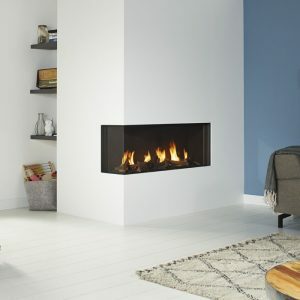 This allows for larger logs or white stones and higher flames. 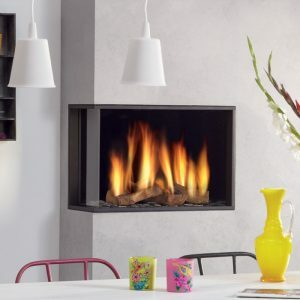 The interior offers a choice of a sleek black finish, or a Ceraglass mirrored finish, which adds visual depth to the flame picture. 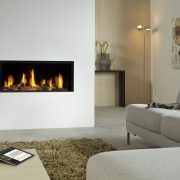 Heat output is an impressive 10.8kW and energy efficiency is very substantial at 85%. 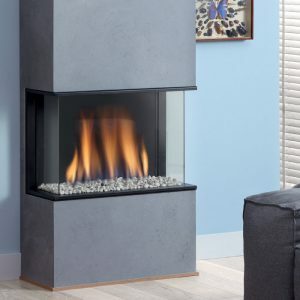 The unit requires a 240v mains supply and is compatible with a Powervent. 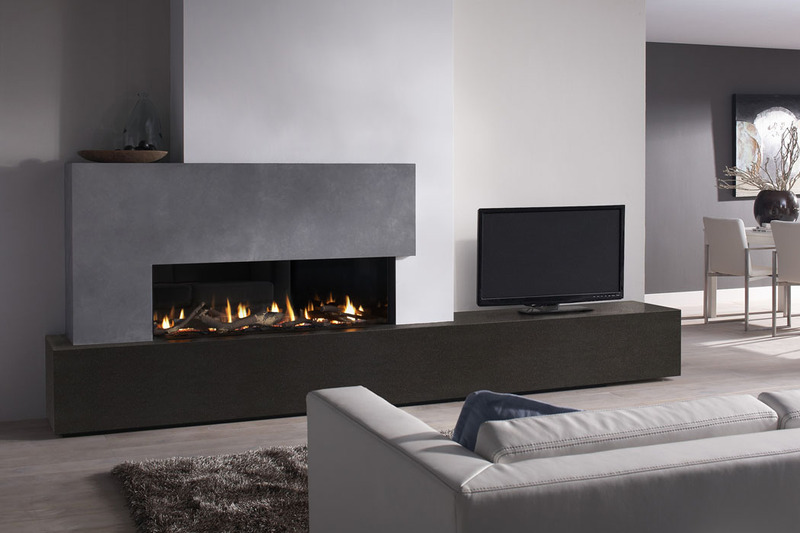 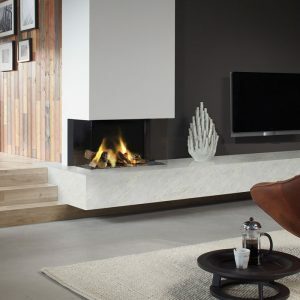 DRU designer gas fires are equipped with the clever and energy-efficient Eco Wave system. Using a combination of the clever technology built into the gas fire, together with your smartphone or tablet, you can reduce the power of the burner while maintaining a beautiful flame picture. 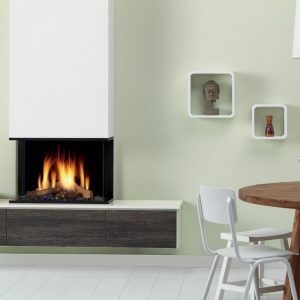 This means that the temperature in the room remains comfortable and you do not need to turn off the fire. 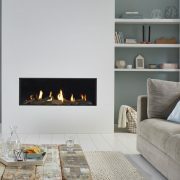 So you can continue to enjoy the realistic flames, whilst saving up to 50% on your energy!